Firstly, I would like to direct you to this blog post published on the Hobbycraft website. I came across this when the Hobbycraft Facebook page posted it and it showed up in my feed (so many links!) and I was determined to make it! I have quite the obsession with small hat and feather accessories, and have always wanted to learn how to make one. I mostly followed the blog post when making this, so I didn’t take any progress shots. However, I did add some of my own personalised touches to it. One of the more interesting things is the use of a haircomb. 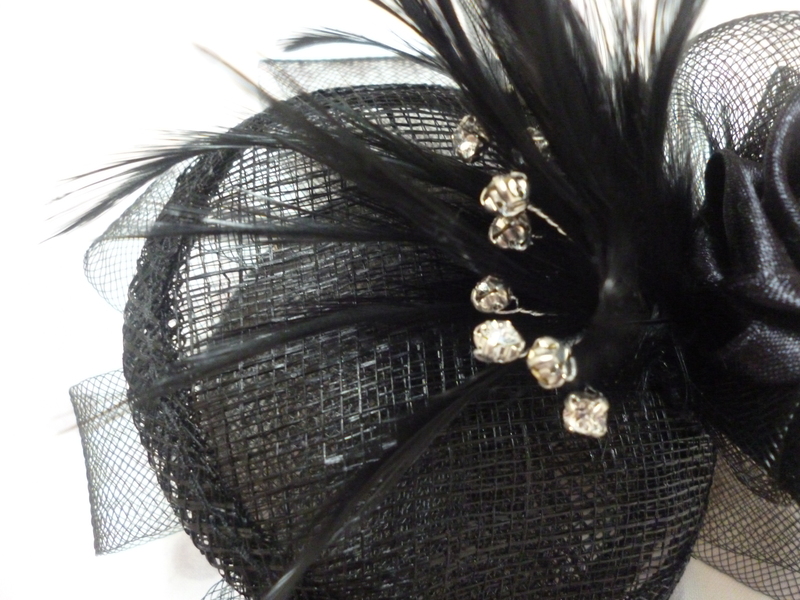 It certainly fits the elegance of a fascinator, but how can you keep it in place? 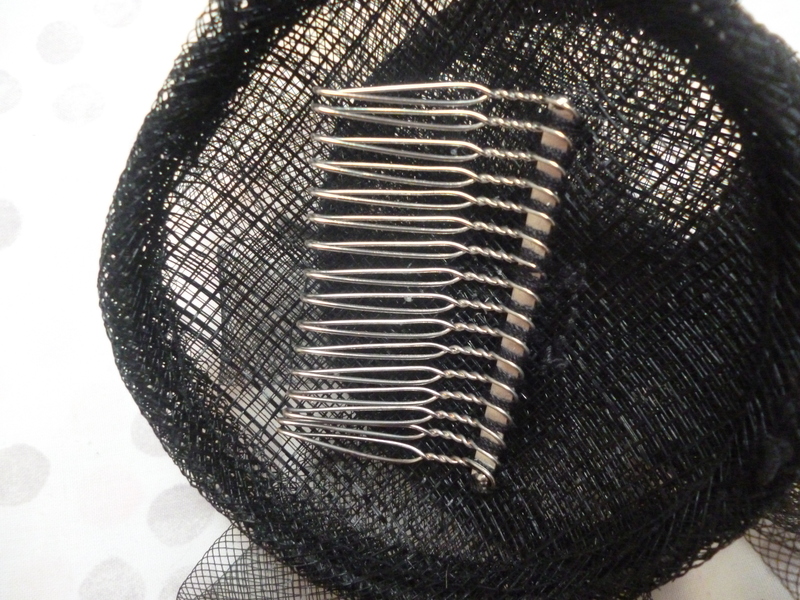 Well, the easiest method I’ve found is to criss-cross two hair grips in an X-shape and slide the comb over it. You definitely don’t want this to fall out as you’re away from home! The blog post suggests that you should put some ribbon in between the base discs, but I didn’t like the idea. 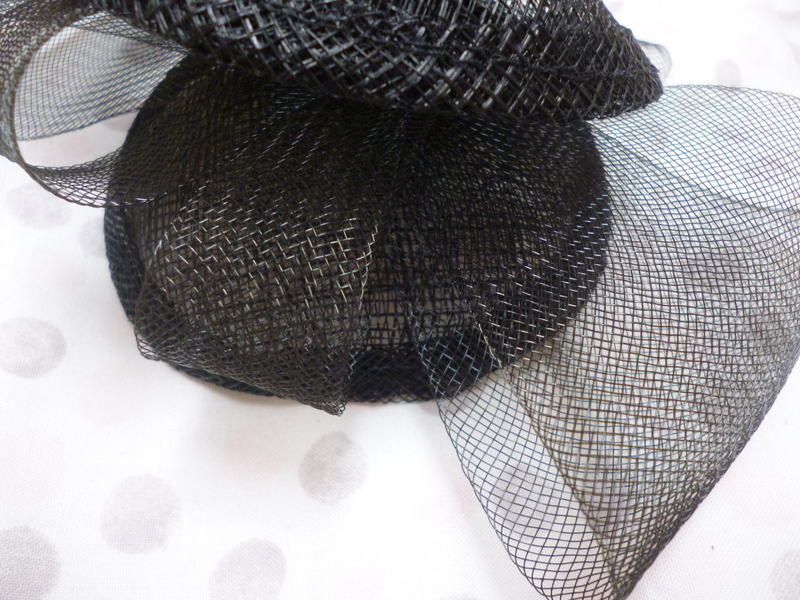 What I remembered from other fascinators was the use of crin fabric to create loops. Here, I’ve used it to create large bows and loops. The diamante feathers sold at the store are just perfect for this sort of stuff. I gathered a bunch of them and sewed the stems to the base disc below. After searching for ideas on how to use crin fabric, I found this tutorial for making crin flowers. It suggests to fold your crin in half before rolling, which is a really good idea. I made the three flowers on the left without folding in half, and you can tell the difference. I just didn’t have enough crin fabric left to spare. 😦 Lastly, I made one flower out of satin ribbon and used it to cover the stems of the diamante flowers. 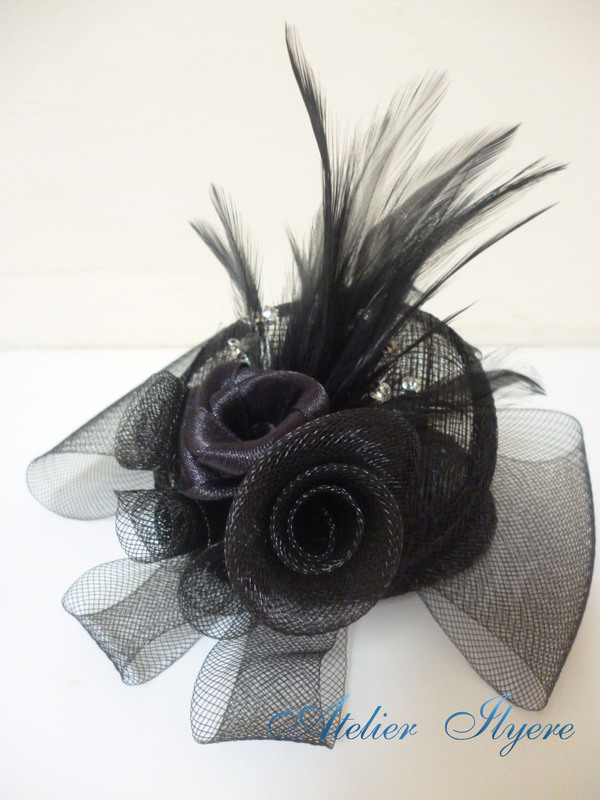 The result is a very outlandish fascinator that I’m very proud of… Let’s just say it’s very me, haha. The weight does actually contribute slightly to it and it does fall off a lot if you don’t secure it in place. The tutorial is a very good starting place to get the creative ideas flowing! 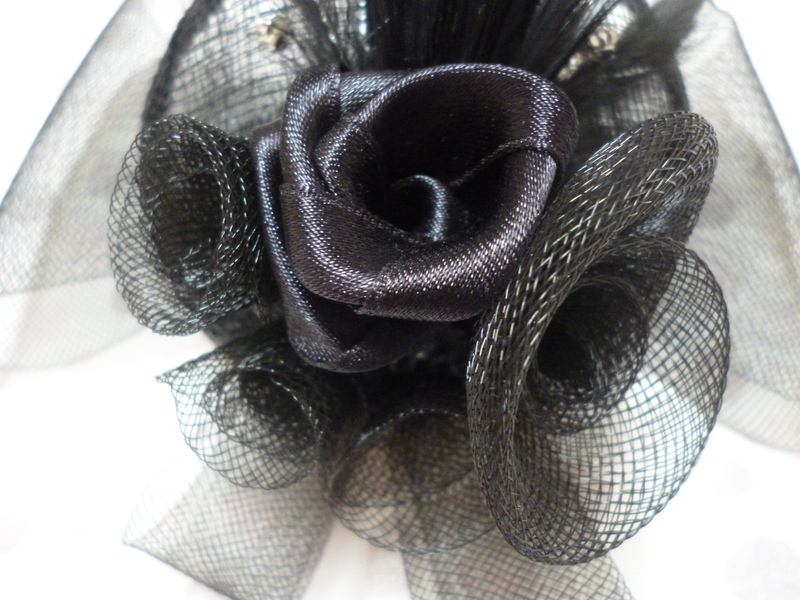 This entry was posted in Fabric, Hair accessories, Jewellery, Ribbon and tagged Black, Crin fabric, Fascinator, Feather, Flower, Hair, Hair accessory. Bookmark the permalink.